Anne is without a doubt the most talented photographer! I cannot express how magical it was having Anne as our wedding photographer, not only did Anne capture our day perfectly, but she bought a beautiful calming aura to the day - as well as a sense of adventure to capture the most epic shots! I could not recommend Anne ANY higher! From our initial meeting, throughout the prepping process and on the day - Anne's services cannot be faulted. You clearly love what you do Anne - boy does it show! Anne is pure gold! She slipped into our super private and small elopement & instantly became part of the family. Its not easy to do that for such a small gathering as a photographer, she is a natural & we loved her so so so much! 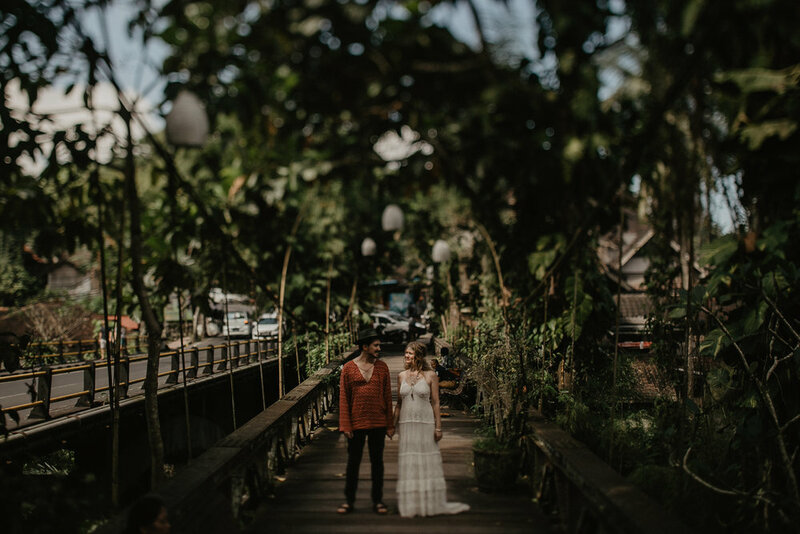 Sean and I eloped in Bali with 15 people and we organised all our plans with Anne in Melbourne and met in the remote Jungle outside Ubud via google maps! Haha. She was such a joy to have around for the whole day – she even stayed and partied with us long after she put her camera down. She captured the most breath taking photos of our loved ones & our darling daughter Frankie. She got so excited when I told her I was having a flower bath in the morning, we all did happy dances together. The album she delivered us had us in tears as we watched it – I have since printed all my favourite images and they have taken pride place in my home, and its lovely to think, that it was Anne behind the camera as I look at them daily. Anne – thanks for everything! You are so good at what you do and we love you lots. Anne was amazing! She made us feel so comfortable and she was an utter pleasure to hang out with on our special day. Anne, you rock!!! Anne was the most fun to have around on our wedding day. She has such an eye for detail, and found some of the most amazing spots and light for our photos. We have only got the sneak peak back at the moment, and love every one of them. Can not wait to get the rest back. Do yourself a favour and have her as your photographer!! Anne is a natural photographer, her ability to seek out natural light and use it to capture the most amazing photographs is incredible. We were lucky enough to have her capture our wedding day and the photos we received in return were beyond stunning, candid beautiful shots. Anne is the ultimate professional which have us comfort and confidence to entrust her with our day, she knows when to get people together for a photo and when to just be in the background capturing natural reactions. If you are having a wedding just look at her Instagram, you wont need to look any further!